Airolo, in Switzerland, is a very small ski resort with just three ski lifts (1 gondola, 1 chair lift, 1 surface lift) but it does boast a very impressive 1184 metres (3885 feet) of vertical descent. 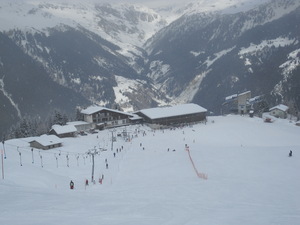 Airolo has 39 pistes. Airolo is best suited to advanced and intermediate skiers and snowboarders. We have no information about the existence of any cross country ski trails at Airolo. The nearest airport is at Zurich. The ski resort Airolo-Pesciüm is open daily from January 16th, 2016 to April 3rd, 2016. Come visit us and download our App "Airolo Experience"!